Well, well, well. We have almost completed another trip around the sun and a lot of folks are saying — with some justification — that it perhaps was not the Earth’s best orbital performance. I get that. The year certainly had its ups and downs (and then some) and watching/reading the news became the kind of thing you often wanted to do with your hands over your face, much like a time earlier this century. For all the technology and knowledge we have, humans seemed too often to have an insatiable desire to inflict all types of harm upon one another. And that’s without mentioning some of the more profound losses that we have felt culturally. Source Readers of a Certain Age know the feeling of saying goodbye to the people who helped define and make the culture that we grew up in, something the younger among us can’t understand, through no fault of their own. That said, 2016 was hardly a total loss. In terms of the topic that we’re chiefly concerned with in this space — local transpo — I think the ball certainly moved forward with two rail extensions opening, a ballot measure being approved and bike share coming online (here’s our year-end review). The transpo system of tomorrow in our region is coming together piece by piece. Sure, it’s not happening overnight. But transpo here is changing more rapidly than it has in decades. On a personal note, I remain very grateful to wake up most mornings and know that I get to write and take photographs for a living and there’s an audience, albeit not huge, who will give my ramblings a little slice of their day. I thank you profoundly for that and look forward to toeing our way, perhaps gingerly, into 2017 beginning Tuesday morning. The nice folks at the Tournament of Roses gave Metro a tour of the float construction pavilions at the Rose Bowl yesterday. Above are my artsy-gassy attempts at capturing it. Pretty impressive efforts, my images nothwithstanding. Going to the parade and/or game? Please consider trying the Gold Line or the 501 bus that runs between Old Pasadena, downtown Glendale, the Burbank Media District and the North Hollywood Orange Line and Red Line station. Of course, this is also the first year the Tournament of Roses can be reached easily via the Gold Line from Arcadia, Monrovia, Duarte, Irwindale and Azusa. How to reach the Tournament of Roses via Metro. The video is big on autonomous vehicles and drones that can quickly deliver those noise-canceling headphones you just impulsively purchased because you think they’ll drown out your mommy telling you that you’re the biggest disappointment ever. Of course, the headphones won’t fix that, but you can always dream or listen to people dreaming without having to hear whatever the bloke/blokess next to you is yammering about. 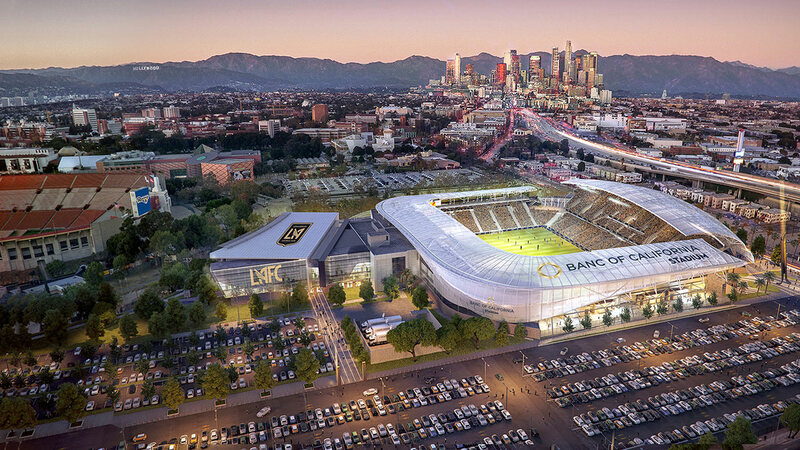 Nice renderings of the soccer stadium that will occupy the site of the former Los Angeles Sports Arena. 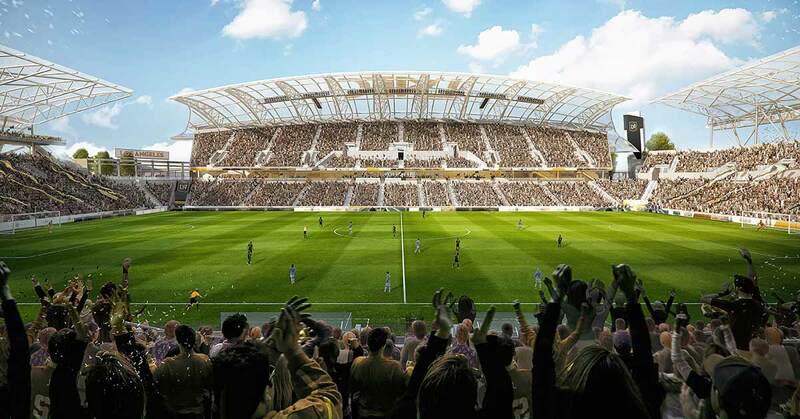 The stadium will be the home of a Major League Soccer expansion team that is scheduled to begin play in 2018. 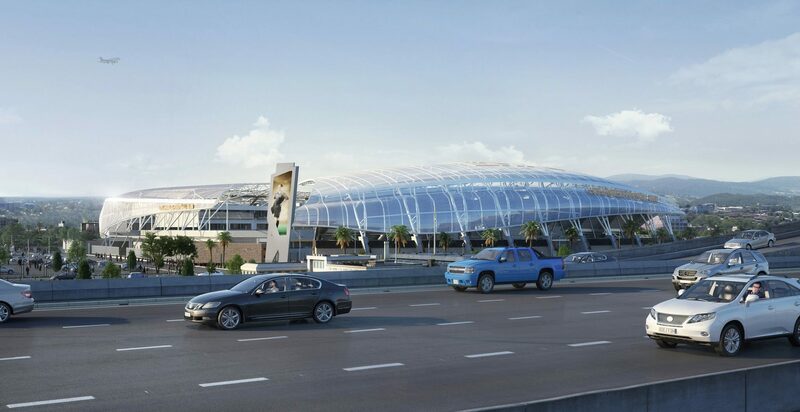 You’ll be able to travel on a bullet train between Casablanca and Tangiers before you’ll be able to travel on one between Bakersfield and anywhere else. Map: BBC. State high-speed rail officials earlier this year asked the feds for a $15-billion loan to spur construction of a segment of the bullet train between Fresno and San Jose. Doesn’t look like it’s going to happen, raising the question about whether the loan stands a chance under the Trump Administration. The challenge there: while President-elect Trump has signaled he likes bullet trains, many Republicans in California and elsewhere are deeply skeptical about the project and may not want to see it funded any further. And thus this challenge in 2017: while there is still some state bond money that can be unlocked, it’s not enough to get tracks built beyond the San Joaquin Valley and definitely nowhere near enough to get trains running between the Bay Area and L.A. area. To put it another less genteel way, eight years after voters approved the $9.95-billion bond for the project, it enters 2017 with more questions than answers. The shame of the thing, of course, is that if built, the bullet train would probably be extremely popular, especially if service is good and can beat the 35 mph or so that Amtrak averages between L.A. and Oakland. On a related note, it took a friend of mine 10.5 hours to drive from Glendale to Las Vegas on Monday. The oft-talked-about bullet train between the L.A. region and Vegas also become no closer to reality in 2016 and, at this time, is nothing more than hot wind blowing from the desert. Quasi-related: the Chinese may have backed out of helping build our bullet train, but they did build a new electrified train route in Ethiopia connecting Addis Ababa to Djibouti in about 10 hours, thereby offering a better option than the road that can take several days to negotiate. 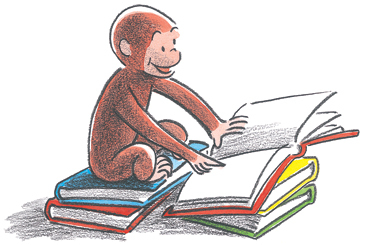 Everyone knows that Curious George loves to read about bullet train funding and world economies! Quasi-related to that: while on the subject of Africa, congratulations to Morocco — owner of the continent’s first bullet train, expected to open in 2018. In case you were wondering, Morocco has about 33 million people and California has about 39 million. The project cost $1.8 billion Euros and much of the funding came from France and Middle Eastern countries. And, in case you were also being a Curious George/Georgette about it, Morocco had the world’s 60th largest economy in 2015 in terms of gross domestic product whereas California had the seventh or eighth, according to state officials. It was dreamed up in the 1920s, was derailed by the Great Depression, by wars overseas and political battles at home, by the 1970s fiscal crisis, by dithering, distractions, diverted funds and the inertia that keeps big infrastructure projects forever on the drawing board. Over time the Second Avenue line became a wistful, theoretical thing: like an empty cab on a rainy Friday, a parking space in the West Village, a train to Brigadoon. On the bright side, voters in L.A. County certainly stepped to the plate this year by approving Measure M, a new half-cent sales tax and extension of the Measure R half-cent sales tax. In modern America, projects need local funding to have a shot at getting built and M will help build projects our region has been waiting on for decades. In last Monday’s column, NFL writer Peter King — who is very well-informed on all things pro football — says that he expects the Chargers to exercise their option to move to L.A. after the season is over this weekend. 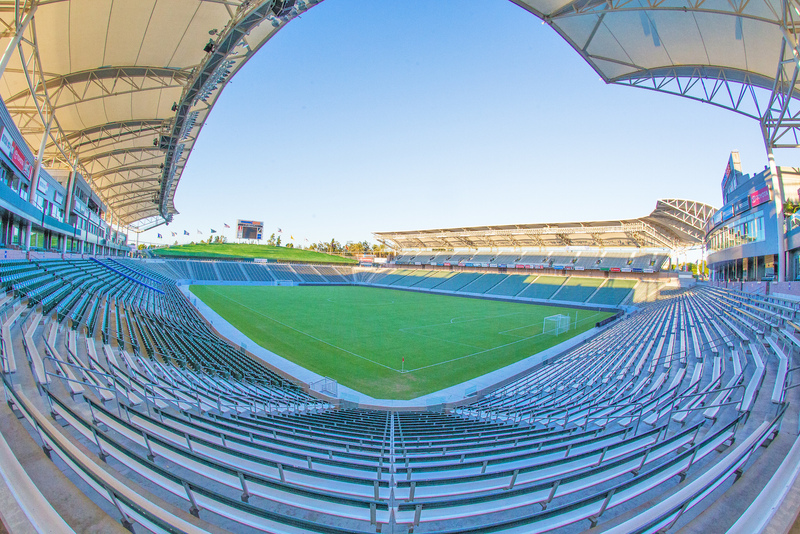 Instead of playing in an empty Coliseum, he expects that they’ll play for a couple of seasons in 27,000-seat StubHub Center until moving to the Rams’ new stadium in Inglewood that is under construction. I like the idea of watching (on TV) pro football in a tiny stadium, but StubHub isn’t quite as transit-friendly as the Coliseum, although it’s served by three Metro bus routes (52, 130 and 205) and the Torrance Transit 6 bus. StubHub is about 2.1 miles from Harbor Gateway Transit Center and a little more than four miles from the Blue Line’s Artesia Station, so I suppose so shuttles could be added from there — and, in fact, that might be a good way to practice for a potential 2024 Summer Olympics, as StubHub is a venue. Fun fact: the Chargers are supposed to play the Broncos, Raiders, Chiefs, Dolphins, Browns, Bills, Eagles and Redskins at home in 2017, wherever home may be. You don’t get it. But then again, very few people do. It’s like Obamacare: They’re not afraid it WON’T work. They’re afraid it WILL. While reading about the Bullet Train it brought to mind the Honolulu completely elevated Light Rail system being built. They are several billion over budget and about five years behind schedule. While I was there in September there was even talk about abandoning the construction of the system. In addition if I’m correct, the elevated track has been designed but not the elevated stations as well as their location. It’s quite impressive however observing the miles of elevated ribbon of concrete spanning not only over the streets but also across the open farm land. Long Beach Transit Route 1 now also travels by the Stub Hub Center on Avalon. Hey Steve, I know a lot of Democrats that are skeptical about the project. Any reasonable person that honestly looks at the (ever-growing) cost of this SHOULD be skeptical. Why must you insert partisan rhetoric into so many of your posts? It’s really getting old and it doesn’t reflect well on you or the agency you work for. I was echoing what was in the LAT story — which I believe to be very accurate — and I think the Republicans would agree with my description of the story; they have been among the most ardent critics of the project and that is relevant with Republicans having won Congress and the Presidency. With all due respect, we really do try to keep the blog nonpartisan but I do reserve the right to describe what elected officials are saying. If there are other things that I have written on the blog that you believe are too political, please feel free to email me at hymons@metro.net or call me at 213-922-3578 during business hours and I’ll certainly take a critical look and decide if I need to make adjustments. I am not above criticism and I certainly don’t think everything I write is 100 percent perfect. As for the project, I think there are two views that I’ve tried to emphasize over the years: 1) with the cost going from $33 billion to $90-something billion and back down to $60-something billion, there’s ample reason why people are skeptical about the cost estimates, and; 2) my opinion is there is reason to believe that the project, cost notwithstanding, could attract a lot of riders in our state. 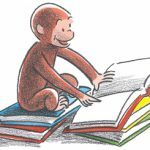 Let’s close the book on 2016, put it on a wooden shelf (in a wooden house), douse it all with lighter fluid, then burn it to the ground. Thank you.